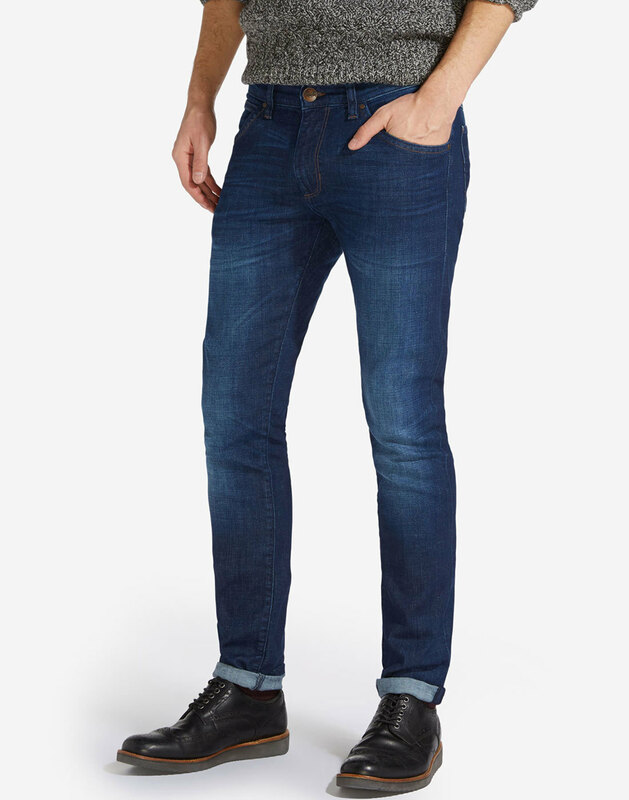 Wrangler 'Bryson' Men's Retro low waist skinny jeans in a cool dark stonewash far blue denim. The slightly distressed blue denim is accompanied by a stylish contrast stitch, Vintage bronze rivets and iconic Wrangler back pocket branding. The trademark Wrangler 'W' back pocket stitch is in keeping with the clean Mod look of these 'Bryson' Far Blue Denim Jeans. The Wrangler 'Bryson' is the classic 5 pocket Skinny Western Denim Jean. Wear as turn ups for that Ivy league and Americana vibe. 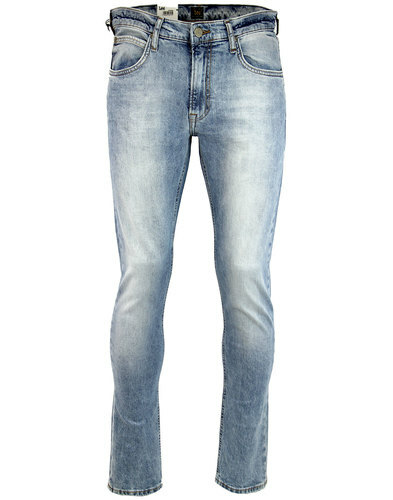 Wrangler 'Bryson' are a contemporary Indie skinny fit denim jean inspired by timeless Retro style. 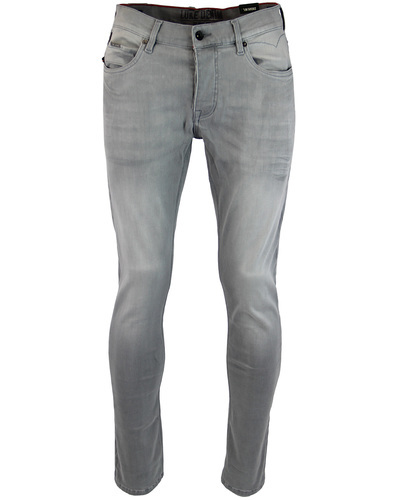 The perfect denim choice for a sharp but casual Mod look. The Wrangler stretch denim used for these 'Bryson' jeans gives you dynamic freedom and outstanding comfort. - Wrangler 'Bryson' men's retro skinny denim jeans with low rise waist. 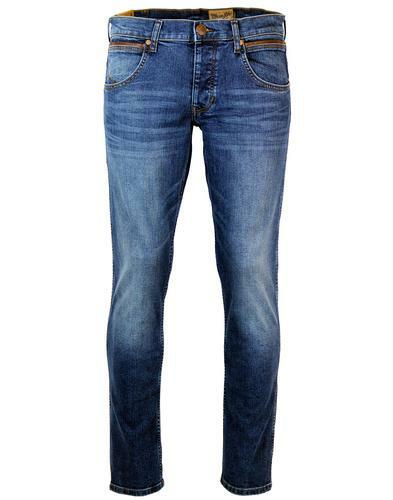 - Far Blue denim for a clean and sharp mod look. - Wear as turn ups if desired. - Bronze branded button to waistband. - Iconic Wrangler 'W' stitch to back pockets. - Wrangler leather waistband branding to reverse. - Crafted from Wrangler stretch denim for comfort. 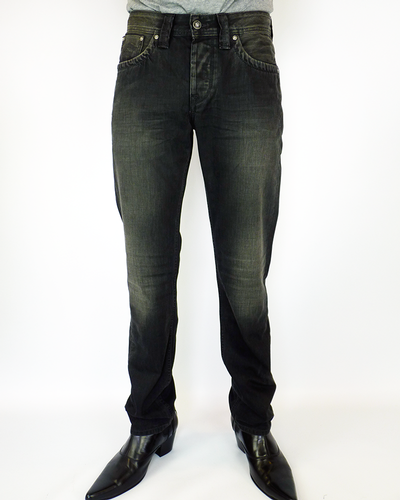 - SKU: W14XCJ97D Bryson Jeans. Composition: 92% cotton, 6.55% polyester, 5% elastane. Care: Wash inside out. Colour may transfer by rubbing onto light coloured garments. Please refer to garment label for full care instructions.